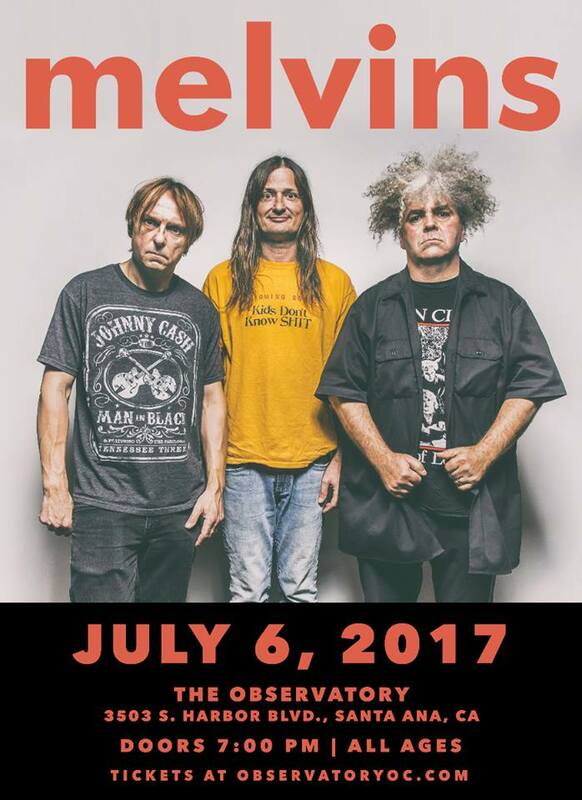 Eclectic legends Melvins are embarking on an extensive 12-week North American tour in support of their massive double album ‘A Walk with Love and Death’ (out July 7th via Ipecac). The tour also features Spotlights as the support act on all dates. For the second show of the run, the two bands will make a visit to the Observatory Orange County in Santa Ana, CA on Thursday July 6th. Metal Assault in association with The Noise Group and The Observatory Orange County is giving away two pairs of tickets to the show. Please read the following rules, terms and guidelines, and enter the giveaway using the widget below. 1. Giveaway is open now through Tuesday July 4th, 11:59 PM PT. 2. Winners will be picked at random and will be contacted via email on Wednesday July 5th. 3. Please, please use an active email address to sign up for the giveaway. We do not send you any spam, and will not contact you unless you win tickets. 4. Please do not enter unless you’re living in the Orange County area or otherwise plan to be in town on the date of the show. We hate seeing tickets go to waste. 4. Add MetalAssaultLA [at] gmail.com in your Contacts list so that the winning notification does not go into your spam folder. 5. You will be required to respond to the winning notification by 8 PM on Wednesday July 5th, otherwise the tickets will be reallocated, and new winners will be contacted on the morning of Thursday July 6th.